The BCG vaccine is the only TB vaccine currently available, although there are other TB vaccines under development. Although far from perfect, the BCG vaccine is a relatively inexpensive, safe, and readily available vaccine that is still the only vaccine available for the prevention of human forms of TB. Who is given the BCG vaccine? There has been a shortage of the BCG vaccine in the European Union since April of 2015. In England it is said that supplies of BCG ran out in the summer of 2016. 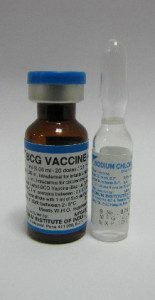 BCG immunization generally causes some slight pain and scarring at the site of the injection.